Are you interested in doing Big Data research? Do you want to make an impact on human health by crunching numbers from haystacks of information in both veterinary and human health records? MU Informatics Institute (MUII) is recruiting SIX top-notch trainees to pursue PhD degree in Informatics through an interdisciplinary training team. Students from basic sciences, life sciences, medicine, and computing disciplines are welcome to apply. Our unique training includes: (1) personalized training modules from core courses of the MS degree in Data Science and Analytics program, Big Data courses from Computer Science, and biomedical informatics courses from MUII, which will expose trainees to the basic concepts, ethics, and working knowledge in Big Data Science; (2) a problem-based learning curriculum in pre-doctoral-level Big Data-related courses, such as Mining Massive Data Sets for Biomedical Applications, designed to foster a team science approach to problem-solving; (3) a student-driven journal club/seminar series, in which students are offered opportunities to present research, pose questions, and receive feedback from peers and mentors. 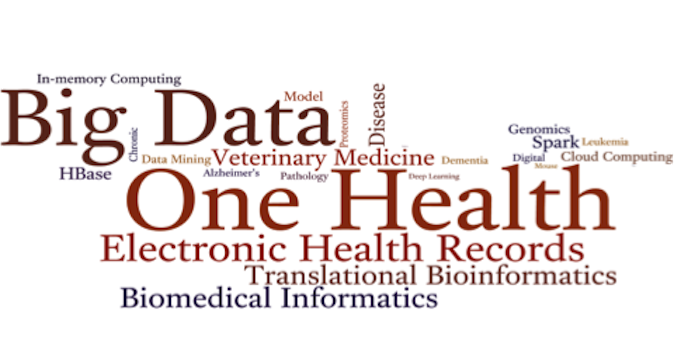 Our interdisciplinary components include (1) required tri-lab rotations to introduce students to animal/veterinary medical research, human medical research, computing/statistical methodologies, and health communications; (2) development of rigorous and reproducible open-source Big Data analytics tools, which will be assessed by the One Health research community after arduous testing; and (3) creation of an Individual Development Plan based on each trainee's background and career goal prior to joining the program. These positions are open to permanent residents and US citizens only. Women and minority students are encouraged to apply. Applications are open and will close on May 1, 2018. Please contact the project director Dr. Chi-Ren Shyu at ShyuC@missouri.edu for inquiries.